What better way to introduce a home, as well as peruse artwork by than an art themed party? 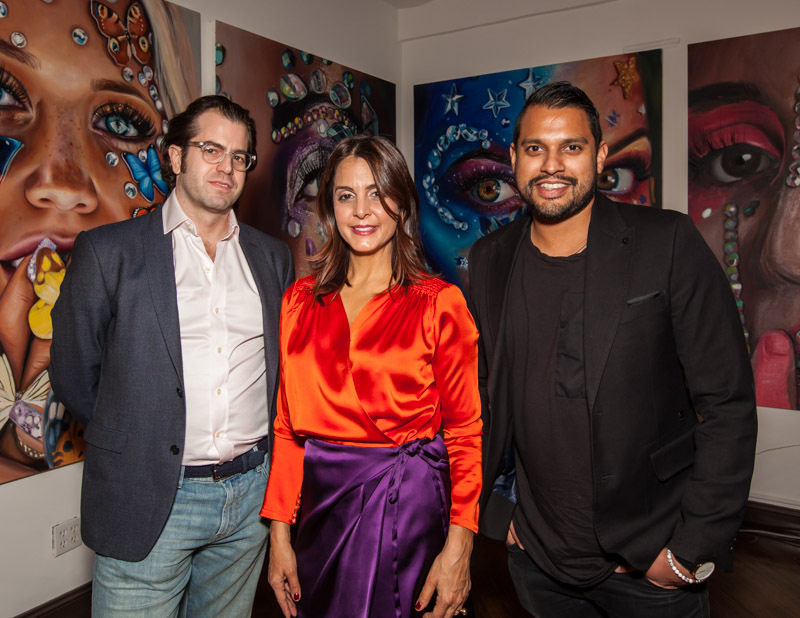 Recently at 45 Lispenard Street 6E, listed at $2.4 Million brought the life of Miami Art Basel into Tribeca, curated by the residential real estate team at Stribling & Associates, Ltd. The 1,800 SF loft hosted an exclusive viewing of large artworks by Julia Ryan, a visual artist whose works were featured in galleries in Los Angeles and New York. Julia's work originates from an original photo which is then manipulated to create ultimate contrast and saturation. Her work has appeared on the cover of Paper Magazine featuring songstress Nicki Minaj, as well as in galleries across New York and Los Angeles. Stribling’s top-producing Lanyard Grandelli Team consisted of Jason Lanyard, Nicole Grandelli, and Geo Punnapuzha. Attendees can view portraits of people or close-ups of inanimate objects decked in all the finery, paint or studded jewelry. It's finally Spring tag us in photos of your favorite buildings. Called "a big, bold symphony in reds" by the AIA Guide to New York with one of the most elegant facades on the Upper West Side, 101 West 78th Street was recently restored to it original grandeur and reimagined for contemporary living by "AD 100" designer Sills – known for the St. Regis Hotel, private residences at the Apthorp and Baccarat, and his own estate, which Karl Lagerfeld said is "the chicest home in America."